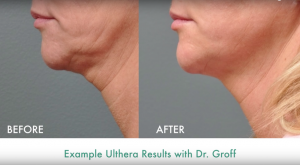 Ultherapy is a state-of-the-art procedure that utilizes fractionated ultrasound technology to lift and tighten without a single incision. As we age, our skin stops producing collagen and elastin, resulting in laxity and a droopy or saggy appearance. 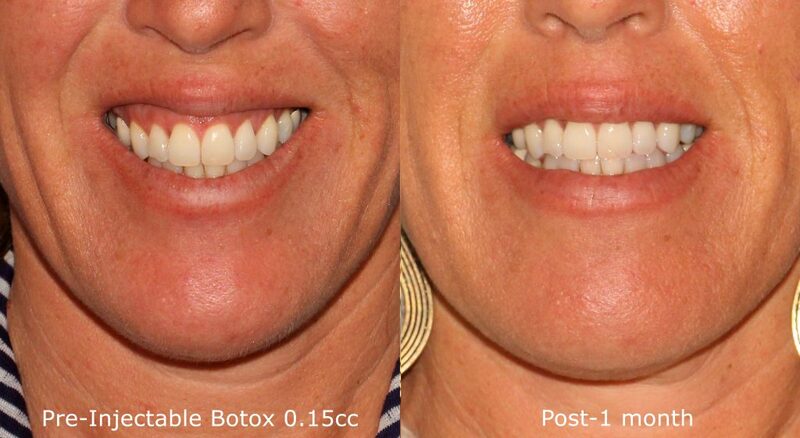 The Ultherapy procedure is a non-surgical way to tighten laxity with no downtime and no scarring. ThermiRF is an innovative treatment that uses targeted radiofrequency energy to reduce small fat deposits and tighten the skin. ThermiRF can be used to treat a variety of areas, including the jawline, under the neck, the abdomen, and the arms. With minimal pain and downtime required, Thermi RF is a great alternative to surgical liposuction. Have you noticed an increase in spider veins in recent years? Are the varicose veins on your legs getting bigger? A common occurrence in patients between the ages of 50 and 59, varicose and spider veins can be eliminated by the vein specialists here at Cosmetic Laser Dermatology in San Diego. 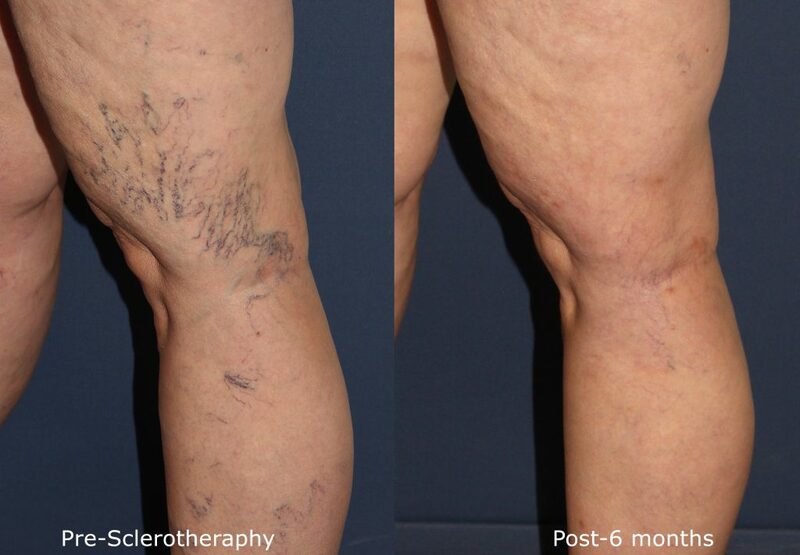 During a sclerotherapy procedure, the doctor injects a sclerosing agent into the unwanted veins that causes them to disappear. For patients with varicose veins on the legs that are larger than finger-width, phlebectomy or endolumenal closure may be a good option. Phlebectomy is the surgical removal of large varicose veins and endolumenal closure closes other large veins entirely under local anesthesia. 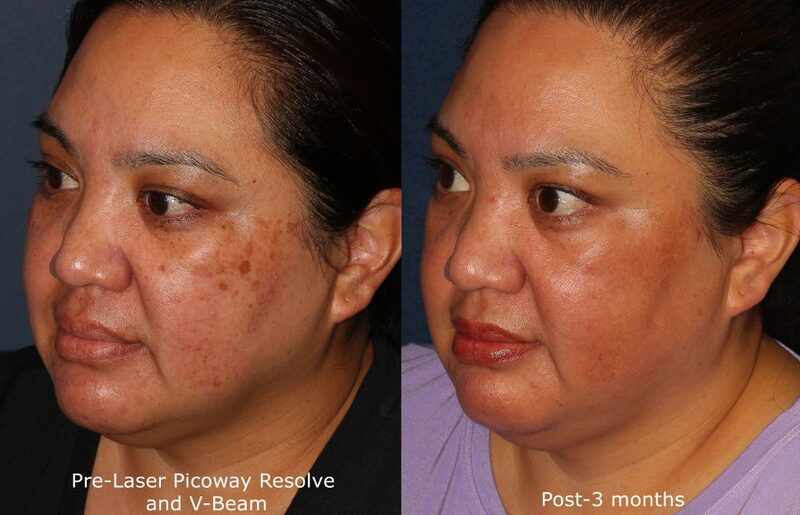 These procedures were developed and are performed by the vein experts at Cosmetic Laser Dermatology in San Diego. Volume loss in areas of the face such as the cheeks, under eyes, and temples is a natural occurrence during the aging process. 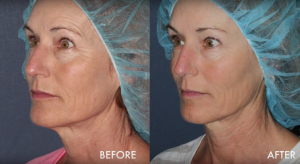 This loss of volume can leave one looking gaunt and older than they really are. 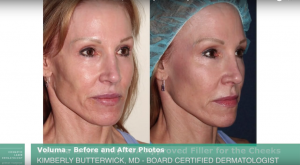 The dermal fillers Sculptra and Voluma are the most advanced fillers for plumping and contouring the face for a younger, rejuvenated appearance. 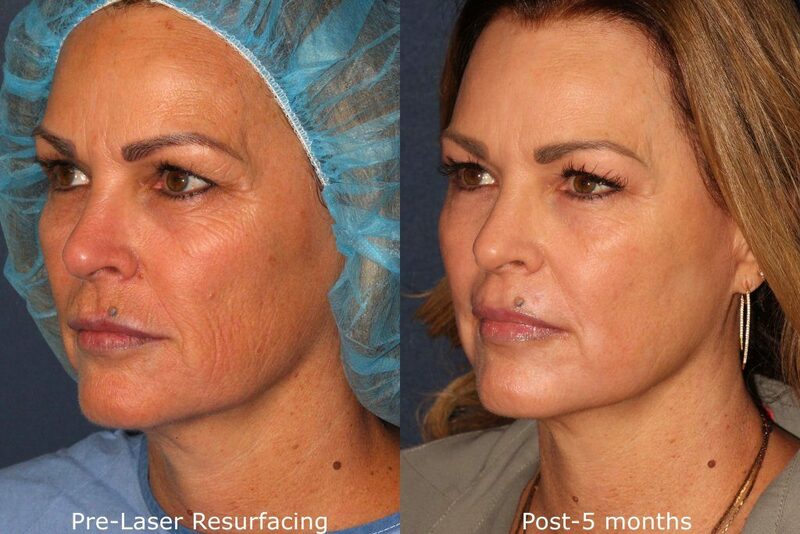 During your consultation with one of our expert cosmetic laser dermatologists in San Diego, they will be able to customize your fractional resurfacing treatment with a variety of devices to treat your specific areas of concern. The fractional resurfacing procedure works by creating thousands of small microthermal zones in the skin to stimulate the skin to repair itself and create fresh, new, healthy skin. 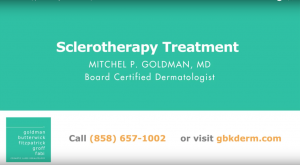 You will experience some swelling, redness, and slight discomfort after the procedure that can last for about 1-2 weeks as the skin repairs itself. With a good skincare regimen and protection, the results are long-lasting.